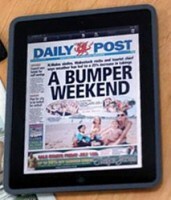 New e-editions designed to work on tablet computers have been launched by four Welsh newspapers today. 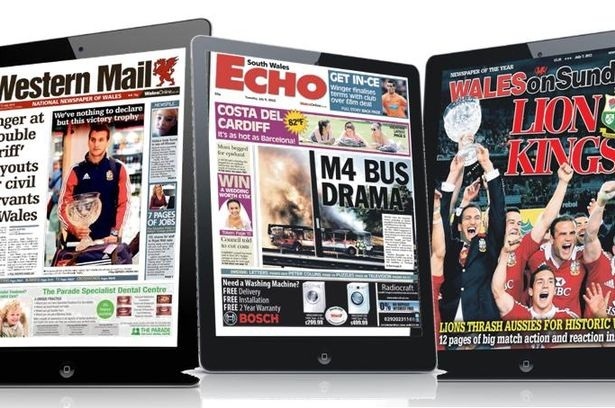 Exact digital replicas of the print editions of the Western Mail, Daily Post, South Wales Echo and Wales on Sunday will now be available on iPad. 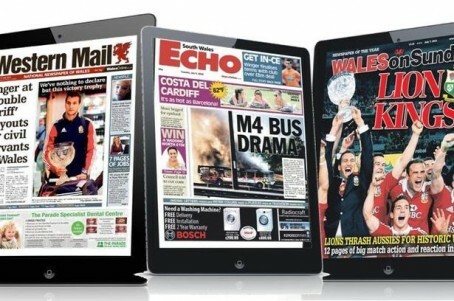 The e-editions of the three daily titles will each retail at £7.99 a month, while Wales on Sunday will cost £3.99 a month. Trinity Mirror executives unveiled the new products at the Senedd in Cardiff today at a launch event sponsored by Positif, Wales’ largest public affairs company. 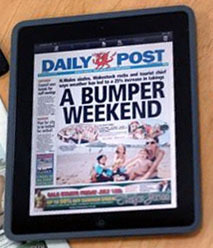 Alan Edmunds, editor of the Western Mail said: “This is an important development for our readers and advertisers. Does anyone know if there are plans for a Liverpool Echo digital edition any time soon? I know several ex-pats who would sign up immediately. Why are these ones paid for when the Daily Mirror and other regional Trinity Mirror ipad editions like the Birmingham Mail are free? Not exactly a joined up policy is it?